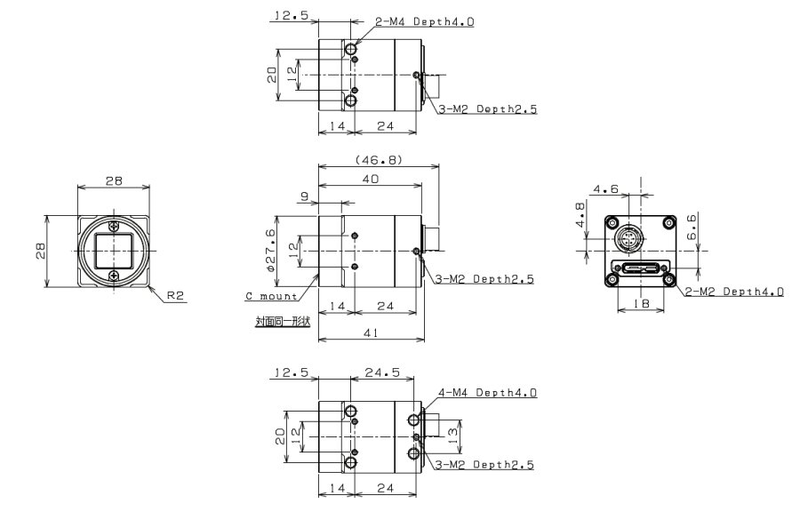 This USB 3 Vision camera is manufactured by SenTech using the CMOSIS CMV4000 image sensor. It delivers 4 MegaPixel resolution at 89 frames per second, or up to 3500 frames per second if the configurable area-of-interest is set to 32 x 32 pixels. It supports 8, 10, and 12 bit video formats. 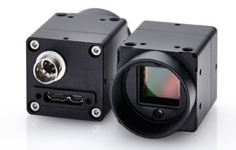 This camera has three general-purpose I/O that can be configured as inputs or outputs. There is also a hardware reset input. If using with the CEBR100 I/O cable, then Pin 1 (IO_GND) is Brown, Pin 2 (GPIO2) is Pink, Pin 3 (GPIO1) is Green, Pin 4 (GPIO0) is Yellow, Pin 5 (CAM_RESET) is Gray, and Pin 6 (White) is not used. Please see the manual for wiring details.